As American as 45Auto, .223Rem (5.56x45) has been the standard round of the US military for over 55 years. 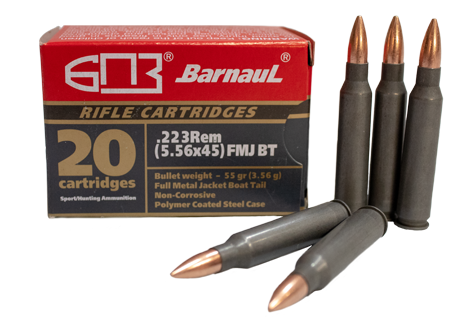 Developed for the original AR-15, .223 Remington has become one of the most popular sporting rounds with shooters and hunters in the United States. This lightweight, high-velocity round lends itself to being chambered with various styles of rifles from bolt action to semi-auto and belt-fed.